Greatly improve anti-interference and sensitivity by adopting efficient mixed rectifying error detection coding. Can be used as a relay to double the transmission distance. Reference distance is up to 2000m. 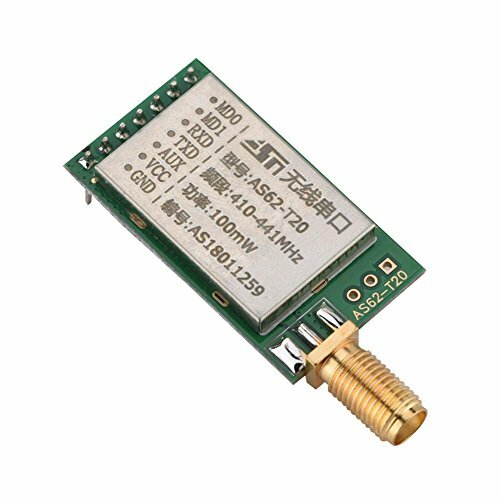 Module provides a multiple channel choice, can modify the serial port baud rate, sending and receiving online frequency, transmission power, and other parameters. Sustainable transmission does not limit the size of the packet, fast and good stability. Transmission power of 100 mw, low power consumption. If you have any questions about this product by Zerone, contact us by completing and submitting the form below. If you are looking for a specif part number, please include it with your message.